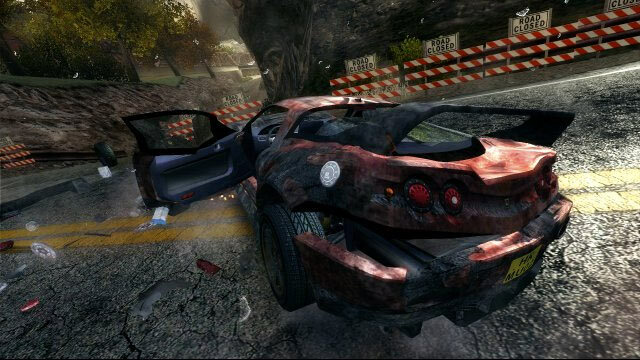 Has anyone found any glitches or videos of glitches on Burnout Revenge? We have a clips page on BurnoutAholics.com which has a few glitch videos. , restarted , and then when they started again they were in mid air. But then it got boring so I turned it off . WMR = 1 glitch.... Its worthless however... since when you crash, your speed is practically zip and other racers will be turning past you at a faster speed due to the jump nearby..
AVR = 1 glitch... also worthless, by the dumpster... hit the side of it, but slows your car down so much that others will just past you easily..
unlocked the MADDEN van!' Then you get to watch the trailer.